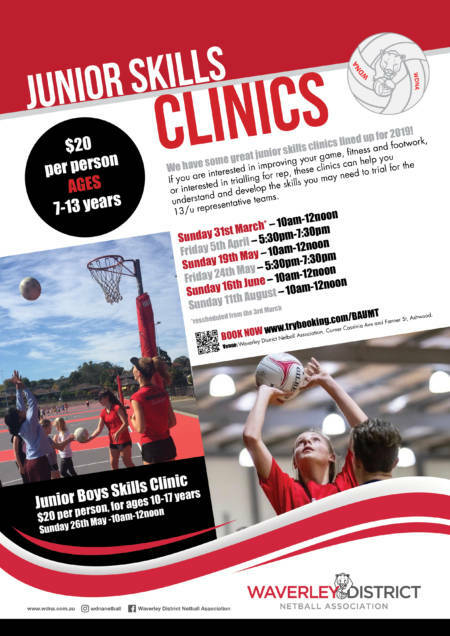 We have some great junior skills clinics lined up for 2019! If you are interested in improving your game, fitness and footwork, or interested in trialling for rep, these clinics can help you understand and develop the skills you may need to trial for the 13/u representative teams. Venue: Waverley District Netball Association, Corner Cassinia Ave and Farmer St, Ashwood. The clinic will be a combination of specialist netball training with a holistic approach to provide a well rounded netball experience. 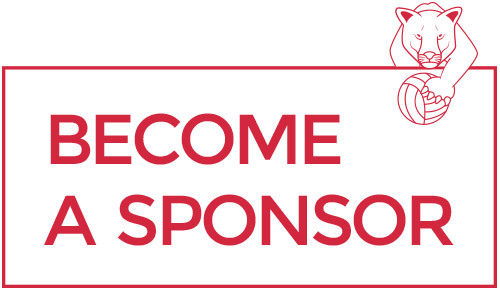 All participants will receive a Julie Corletto Netball Clinic T-Shirt. Plenty of opportunities will be available at WDNA for our coaches in 2019 to develop their skills. 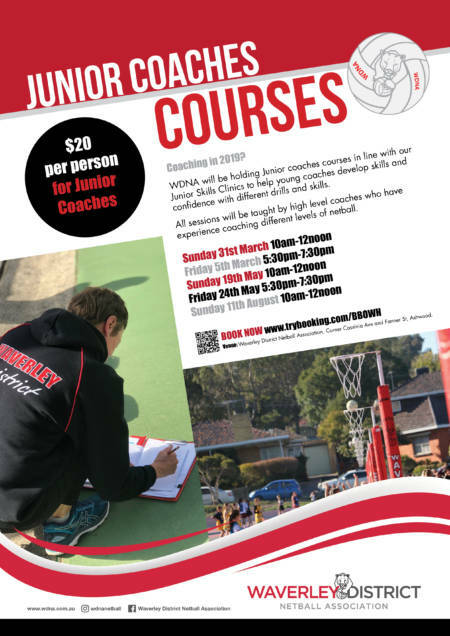 WDNA will be holding Junior coaches courses in line with our Junior Skills Clinics to help young coaches develop skills and confidence with different drills and skills. All sessions will be taught by high level coaches who have experience coaching different levels of netball. We are excited to have been able to secure several workshops with Netball Victoria. pages for information and bookings on upcoming clinics.